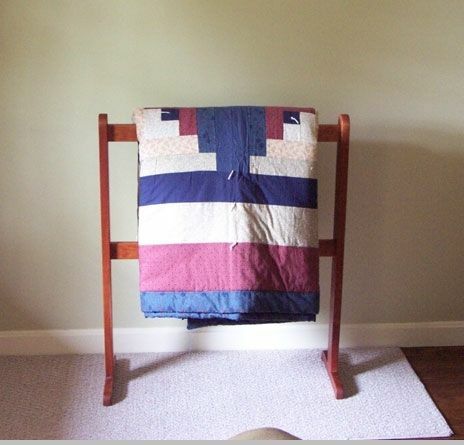 Our Shaker style standing Quilt Racks are made from 1" thick solid American hardwood.. Constructed with strong mortise and tendon joinery. 12" deep, 34" high, and your choice of width from 24" to 34". Cherry finished with a hand rubbed oil finish. Hard maple finished only with a clear finish. Our painted quilt racks are made from Poplar in your choice of 56 Milk paint colors. If requested, they can be lightly distressed for a vintage look.